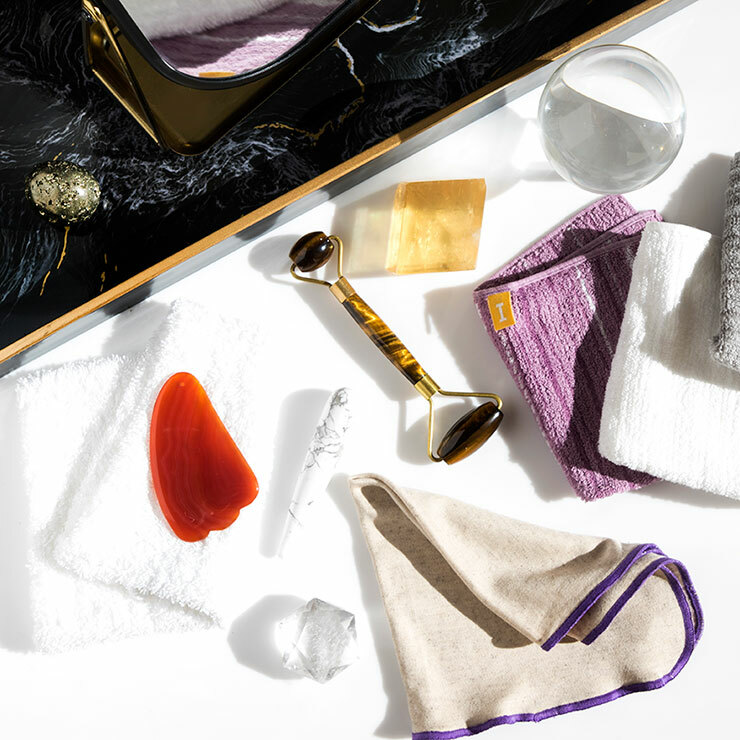 Take your skincare routine to the next level with this crystal facial roller made from lustrous Tiger’s Eye stone, which has been known to carry qualities that instills a sense of protection, focus, and mental clarity. 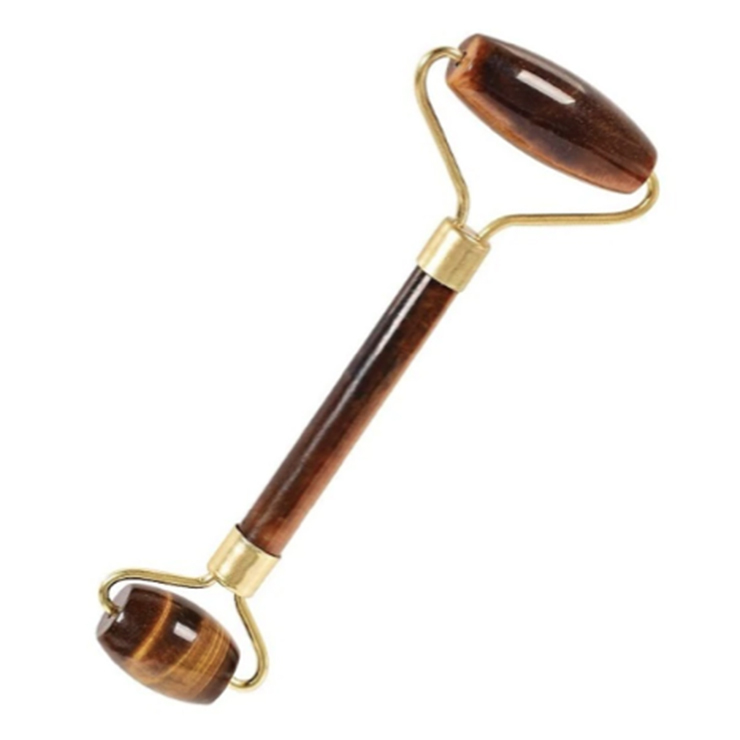 The smooth Tiger's Eye Crystal Ritual Facial Roller by Wabi-Sabi Botanicals gently glides over face to soften and prepare skin as a base for absorption of products following in your daily ritual. Begin by applying your favorite facial oil or moisturizer and roll the large end of the roller over neck, chin, cheeks, and forehead in gentle, upward motions. Use the smaller end for under eye area. May also be used with oil cleanser or balm as part of a facial cleansing routine.